The Grove by Rockwell | +639178132871 | Inquire Now! Own Your Grove Unit. 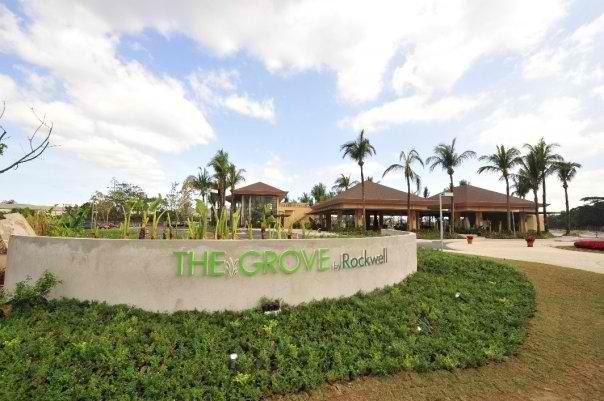 : Why INVEST in The Grove by Rockwell? Why INVEST in The Grove by Rockwell? Rockwell units in Makati priced at 70,000php per sqm are now priced at 140,000php per sqm. The same formula for stability will be applied to the next Rockwell center outside of Makati. We don't just plan buildings. Here in Rockwell, we plan the whole development. To maintain the stability of your investment, the coherence of retail clusters, amenities, security, commercial spaces, and residential spaces is taken seriously as well as their suitability to your taste. We don't just build concretes, we create lifestyle. The Grove by Rockwell is located strategically to make everything at arm's length. The supermarket, retail cluster, coffee shop, al fresco dining, fitness center, and pools will be waiting for you just right outside your door. Malls, hospitals, The Rockwell Business Center and top schools are only seconds away from home. This will lessen your daily spending such as gas and more importantly, time. A big market for leasing is waiting for you because The Grove by Rockwell is just a stone's throw away from the top universities and the 2nd most important CBD in the country--Ortigas. I am Thrilled to invite you to the growing community of The GROVE by ROCKWELL! The Grove is about to change the Ortigas Skyline. Call +639178922633 for more details on how you can own a piece of Rockwell for as low as P7000/month.